GRE is an exam needed to get into most of the master and PhD study programs in the United States. Universities use this exam as the necessary part of the enrollment process, along with other documents and procedures for prospective students who desire to continue studying at selected departments. Official testing and payment is scheduled online at www.gre.org. Test can be taken at many locations throughout the world during the year. GRE preparation course takes eight weeks, two times per week, and two hours each time. Timetable of the preparation and more details are available at www.iacbg.org. 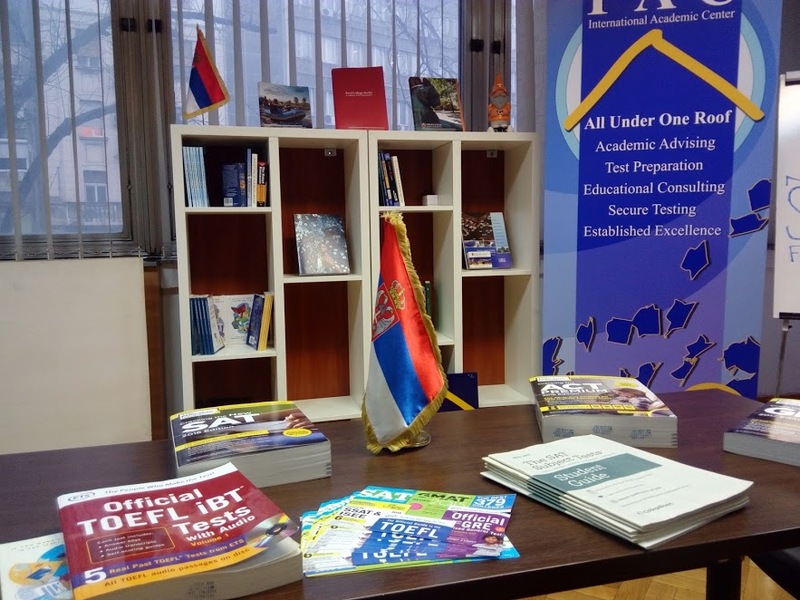 Candidates for preparation receive designated book, preparation material to work in the Center and at home, and virtual simulations of the test. Preparation course may be started even after the designated course starting dates after approval from the test center staff, and appropriate plan to catch up missed hours.